Sunday night dinner doubles as meal prep for Monday! Double Duty Dinner! 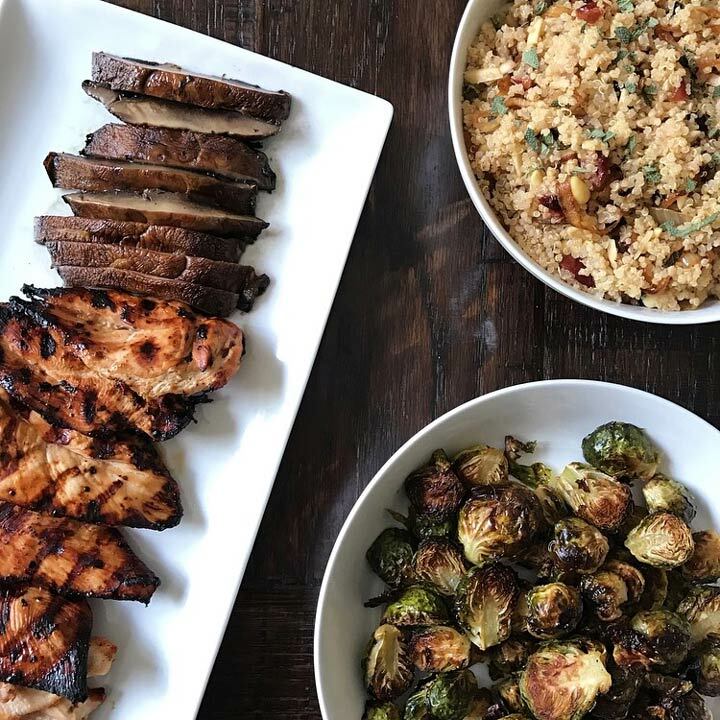 Sunday night dinners often double as meal prep for Mondays when I know we have a busy day ahead: they can be a perfect fall dinner with plenty left over! In this dish, I combined grilled teriyaki chicken, grilled portobello mushrooms, Warm Autumn Quinoa Salad , and roasted Brussel sprouts. The warm quinoa salad with caramelized onions, cranberries, almonds and sage is is a keeper!